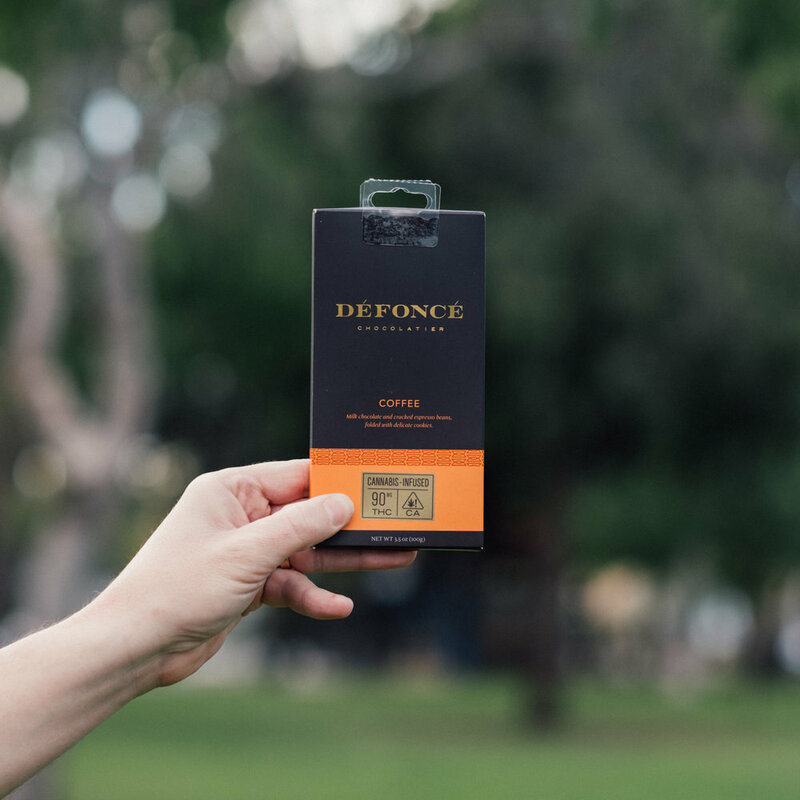 The artisans at Défoncé have found their higher calling as crafters of premium, cannabis-infused organic chocolate. Take for instance their Coffee Milk Chocolate bar. It’s folded with cookies and cracked espresso beans, leaves no cannabis after taste, plus, it’s packaged to help you enjoy responsibly. And, we can’t forget to mention it gets you really high, like that’s the best part! 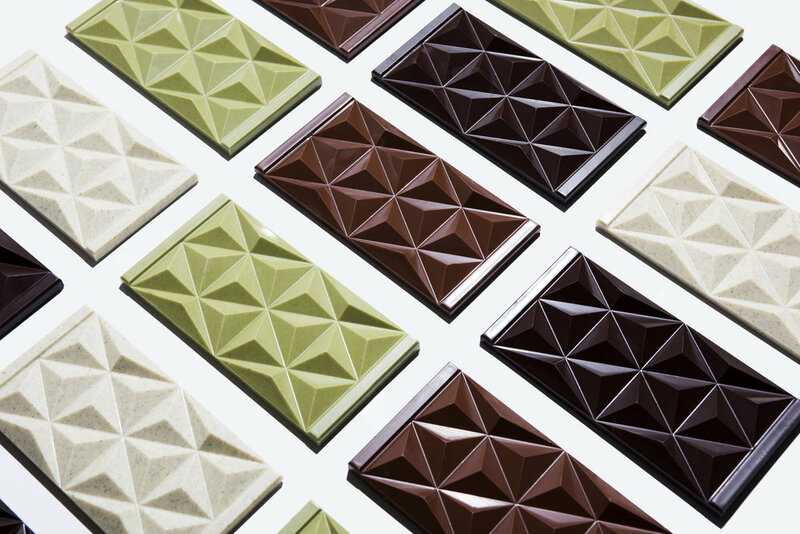 Welcome to the ultimate cannabis-infused chocolate experience. 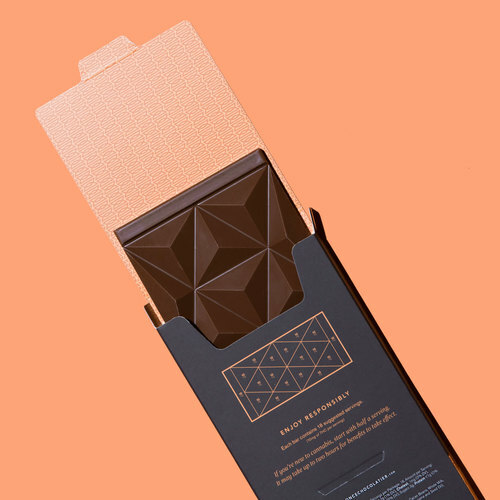 Crafted by a team of expert chocolatiers, they start with the best sun-grown, single-origin cannabis, and finest chocolate ingredients to create a truly remarkable bar of chocolate. With 90mg of THC per bar it’s packing a powerful buzz too, and that’s not just from the cracked espresso flakes. You’re getting high from this chocolate; so don’t eat too much at once! It’s easy to have a little too much, trust us. Its taste is rich and sweet, with a texture that has a subtle crunch from the cracked espresso beans and folded in cookies. To help navigate how much you should eat, it’s shaped in to 5mg triangle portions and has a handy dandy guide printed on the packaging that breaks it down further. We found the presentation of their branding and packaging very smart and elegant in our opinion. We’re giving them a High Five for their unique approach to infused chocolate bars and consider them one of California’s top brands. Taste 5 | Appetizing 5 | Feeling 5 | Value 4 | Packaging 5 | High Five! Available at retailers like MedMen, Buds & Bloom, Harvest Shop, and more throughout California to adults 21 and over.